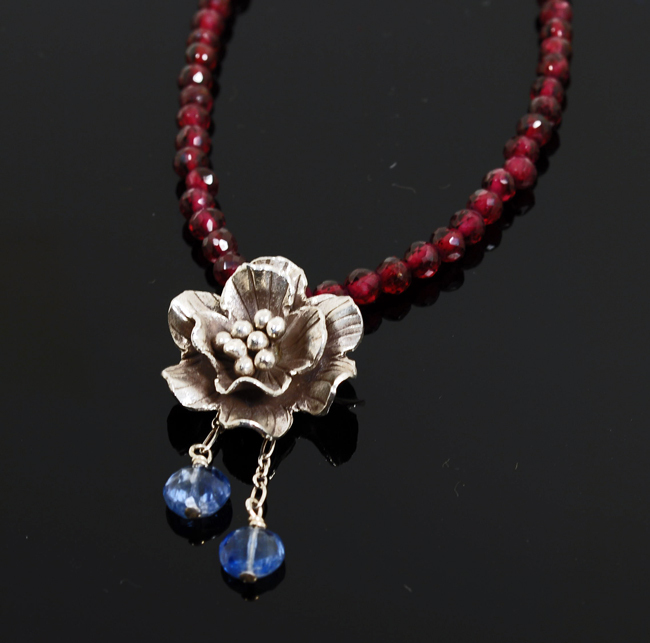 Two blue faceted kyanite drops adorn this beautiful sterling silver peony as it glides freely on a strand of sparkling claret colored garnets. A rich accent for your fall blouses and sweaters! Shown 16.5″ long. Flower approx. 1″ in diameter.